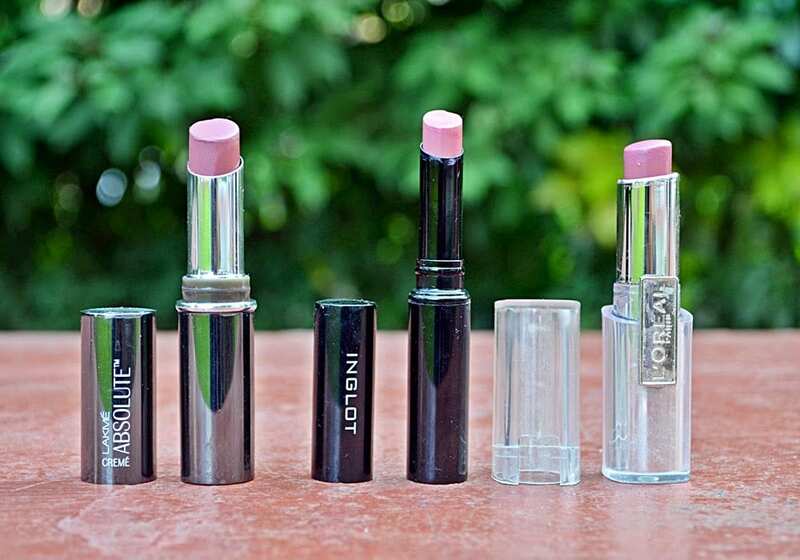 Lakme Creme Absolute Lipstick in Bella Rose, Inglot Slim Gel Lipstick in 52, L’Oreal Caresse Lipstick in Mauve Cherie. 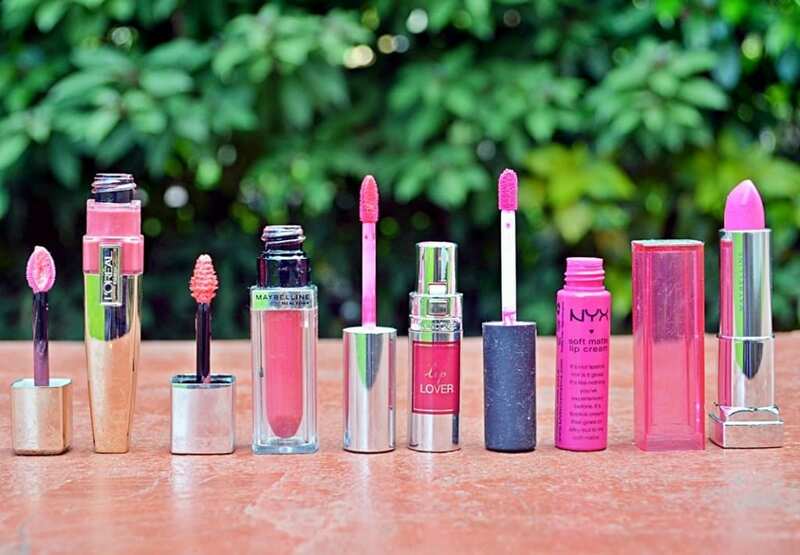 L’Oreal Lipstick in Lincoln Rose, Lakme Gloss Addict Lipstick in Red Delight, Revlon Super Lustrous Lipstick in Love That Red, L’Oreal Shine Caresse in Juliette. L’Oreal Shine Caresse in Bella, Maybelline Lip Polish in Glam 2, Lancome Lip Lover in 355, NYX Lip Cream in Addis Ababa, Maybelline Color Sensation Lip Stick in POW3. 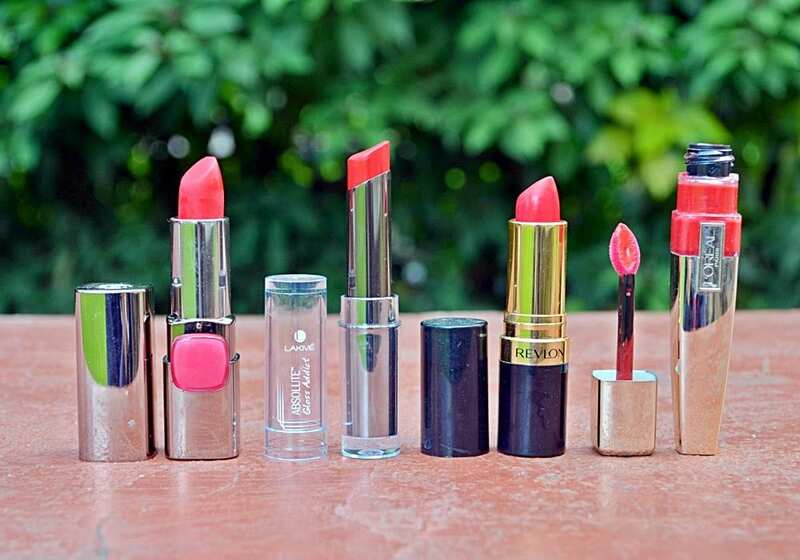 Revlon Super Lustrous Lipstick in Siren, Maybelline Lip Polish in Glam 6, Revlon Kissable Balm Stain in Crush Beguin. I recently did a cleanup too! Love your collection. 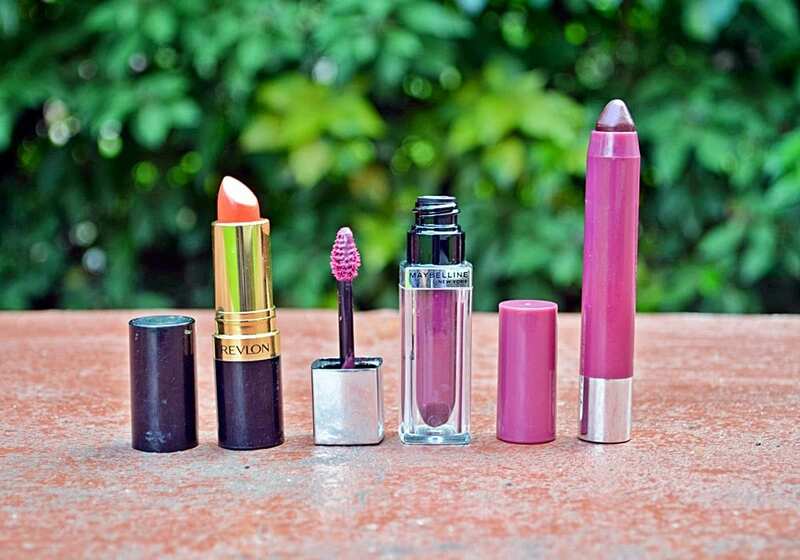 Have you tried the Maybelline Bold Matte range of lipsticks?